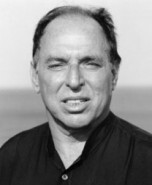 Martin Peretz is a widely regarded public intellectual, journalist and publisher. Editor-in-chief of The New Republic from 1974 until 2012, Mr. Peretz simultaneously served as an assistant professor at Harvard University. In 1993, Harvard inaugurated the Martin Peretz Chair in Yiddish Literature in his honor. Mr. Peretz is a member of the Washington Institute for Near East Policy’s Board of Advisors and was awarded the Jerusalem Medal in 1982. He also holds the Medal of Distinction of the University of Missouri’s School of Journalism and the National Magazine Award for Outstanding Achievement in Essays and Criticisms of the Columbia University Graduate School of Journalism. Mr. Peretz was Co-Founder and Co-Chairman of the Board of TheStreet.com and served as Chairman of the Boards of the Digital Learning Group, an e-publisher of college textbooks, and Enews.com, a magazine subscription website. He has also served for several decades as a director of 11 mutual funds in the Dreyfus-Mellon Group. He is on the Board of Directors of The Israel Project, which publishes The Tower.